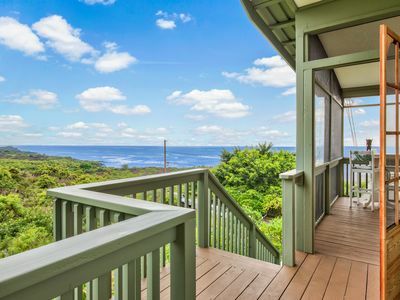 Welcome to Aloha Oceanfront vacation cottage by the sea! Please contact owner directly for last minute bookings and extended discounted stays. 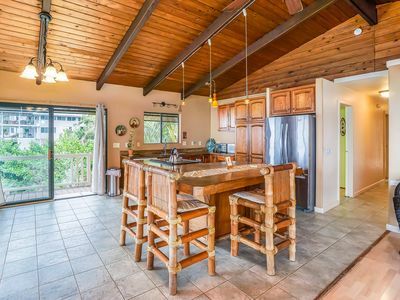 This custom-built, Polynesian designed, fully-furnished, open-beamed, redwood home is situated off the beaten path in a less touristy area and absolute oceanfront on Papa Bay, Milolii. 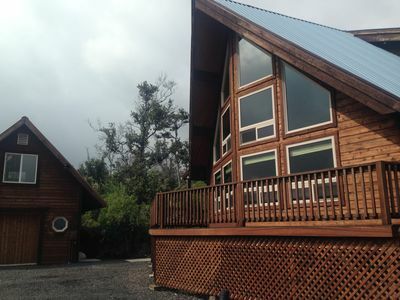 Aloha Ocean Hideaway is unique in comparison to other oceanfront homes in the area with regards to it's proximity to Papa Bay Cove and famous 'At Da Rock'. 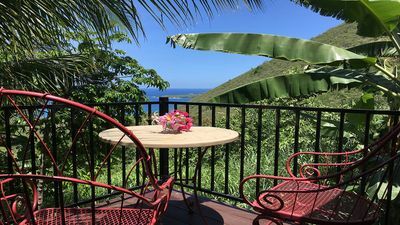 The location is truly a hidden gem and a diver's paradise. 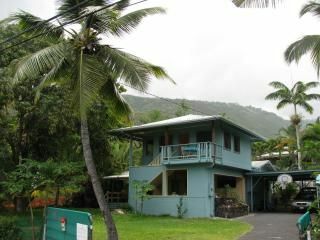 This property is located furthest north oceanfront and provides direct access to the cove right in front of the house! 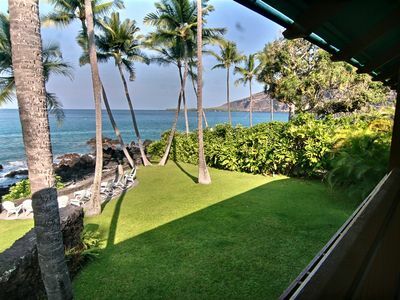 The property is also located near an ancient Hawaiian fishing village and private beaches. 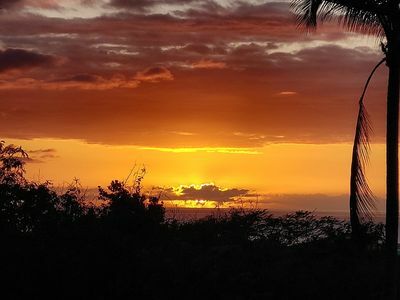 Hike ancient 'King' coastal trails and visit ruins. Watch dolphins and whale swim by from the enormous 50-foot wide deck. Wifi available! 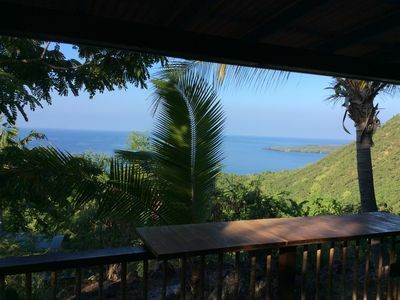 Papa Bay cove offers clear, clean water for snorkeling, scuba diving, swimming, and kayaking. Don't forget to bring your underwater camera! 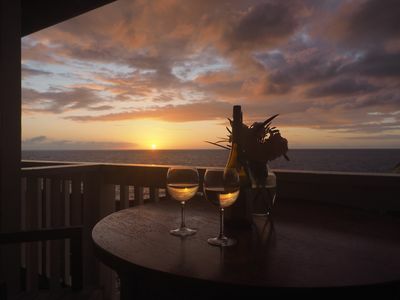 For a sneak preview of the magnificent undersea world that exists directly in front of our beach cottage, please google and visit photos shared on atdarock website. As you will see and experience, this place is literally a divers mecca. We include boogie boards and snorkel gear for your use. 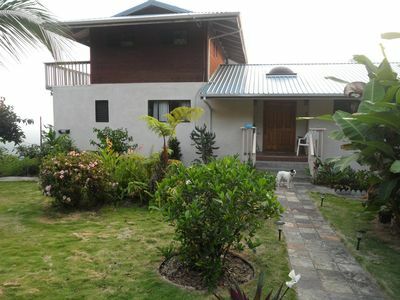 Property and location appeals to ecotourists and adventure seeking individuals. So what are you waiting for? 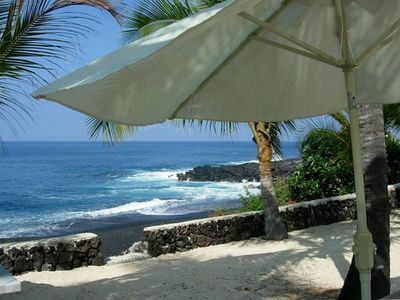 Book now to secure your stay and enjoy your own oceanfront house in Kona. 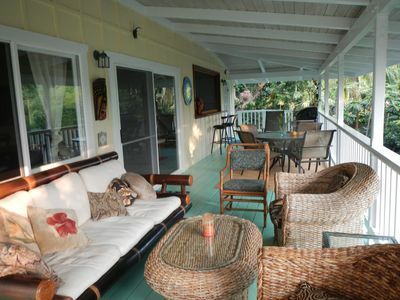 Aloha Ocean Hideaway is just twelve miles and an approximate 40 minute drive to restaurants and shopping. 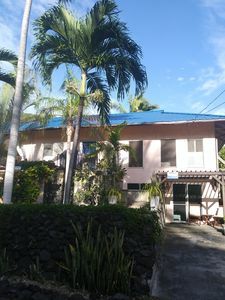 We are located 40 miles south of Kailua-Kona town, and a one-hour drive to volcano village. 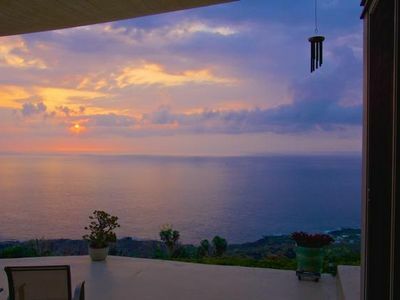 This remote and private, hideaway provides a quiet retreat in which to get away from it all. 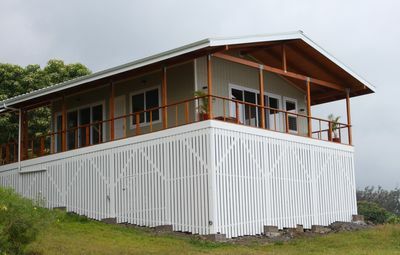 Available to rent minimum 3 night stay, weekly, or monthly. Please see rates. 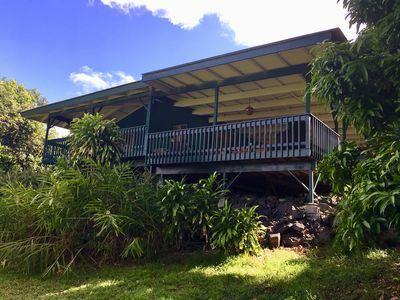 BBQ grill, WIFI, boogie boards, beach chairs, linens, full kitchen: gas range, refrigerator, coffeemaker, blender, microwave, cookware, dishes/utensils provided, satellite T.V., DVD player, koa wood bar, huge deck with lounge chairs, secluded location. 1 bedroom has a queen sized bed, another queen sized bed is located in the living room area for additional sleeping or lounging space. 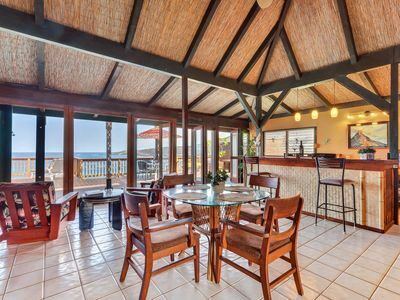 Enjoy dining inside or oceanfront on the enormous deck. 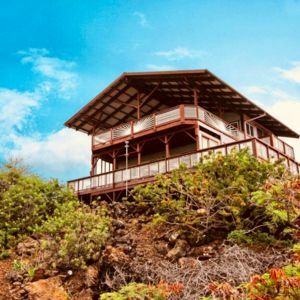 Perfect location for celebrations or just relaxing at this private island getaway. 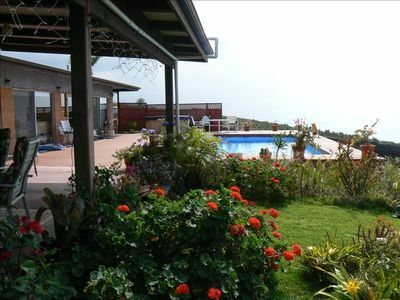 Beautiful Home with Panoramic Ocean View, Large Pool, Hot Tub. 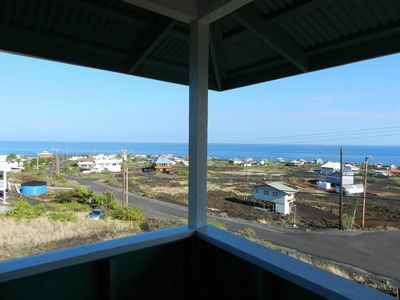 Pacific Views, great price, friendly, no cleaning fees !